SB - Safety Basic - toe cap resistant to 200 Joules impact 200 Joules impact toecap, antistatic, energy absorbing heel, fuel oil resistance 200 Joules impact toecap, antistatic, energy absorbing heel, fuel oil resistance, water resistant upper 200 Joules impact toecap, antistatic, energy absorbing heel, fuel oil resistance, water resistant upper, penetration resistance and cleated outsole 200 Joules impact toecap, 100% waterproof leakproof entirely moulded polymer/rubber upper 200 Joules impact toecap, 100% waterproof leakproof entirely moulded polymer/rubber upper penetration resistance Steel Midsole: Can resist penetration of 1100 Newtons. 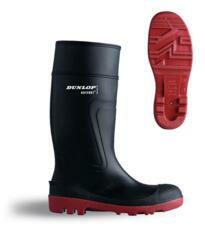 Composite Midsole: Ideal for metal free environments. Can resist penetration of 1100 Newtons. Dual Density Sole for longer wear time, increased shock absorbency and energy return. Heat resistant to 400C Antistatic: preventing the build-up of static electricity Waterproof and breathable lining. Slip tested on ceramic tile with soap solution Slip tested on steel with glycerol Slip tested on steel with glycerol and ceramic tile with soap solution to standard EN ISO 13287:2011. 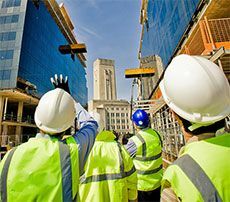 When working in industrial workplaces it is crucial that the right protective clothing is worn for personal protection, including safety footwear. An essential part of gear in industries such as construction, manufacturing and transport, it is important to protect feet with high quality, reliable and durable footwear. At hivis.net we stock a wide range of safety footwear from a variety of top end brands as well as our own branded range, providing customers with an extensive choice which is guaranteed to meet your requirements as well as your budget. Working with brands such as Click Economy, Regatta and Goliath, our customers can feel assured they are only buying the best. 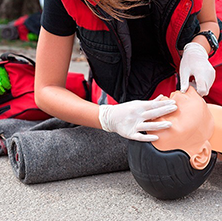 As one of the leading suppliers of workwear and safety gear, we recognise the importance of providing the right protective equipment. 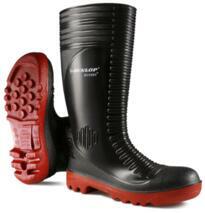 Whether looking for steel toecap shoes, Wellington boots, disposable shoes or rigger boots, at hivis.net we have it all. 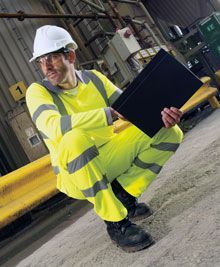 Available in a variety of sizes and colours, the range is hard wearing and heavy duty to cope with any working environment. Our extensive online catalogue of industrial footwear is carefully selected by our team of experts to meet with health and safety requirements and at hivis.net we also offer cost effective discounts on large bulk orders to offer you the best value for money. If you would like to learn more about the selection of safety footwear currently on offer from hivis.net, or about any of the other products available on our website, simply contact us by phone or continue to browse our online store for more details. 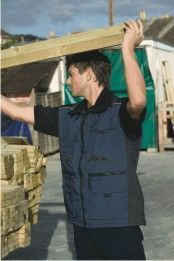 NEW WORKWEAR RANGE - Comfortable, Practical, Stylish & Affordable - Click here for more detail.